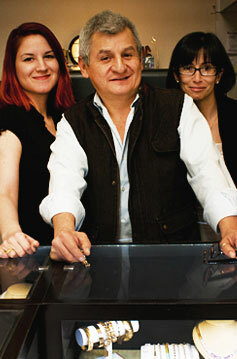 At the age of 14, Mr. Maurice Paredes found a passion for the art of jewelry as well as the jewelry industry. Continuing his interest, he began studying the art of jewelry making and the business. In 1981, Mr. Paredes officially established Goldmine jewelers. Maurice and his team of artisan, designers and jewelry experts are extremely professional and dedicated to present lovely masterpieces to our dear customers. Our goal is to strive for customer satisfaction in every task presented to us for every piece of jewelry whether it is a single diamond studded earring or a beautiful treasured engagement ring. Goldmine jewelers are your number one source for exquisite adornments. You may also have the option to pick up your repairs the next day. (Pending on the repair itself). We at Goldmine have the ability to search and obtain rare stones. At the 72nd Location, we have three counters at 50% off all year round, giving the chance to our customers to purchase beautiful pieces at the most reasonable prices.